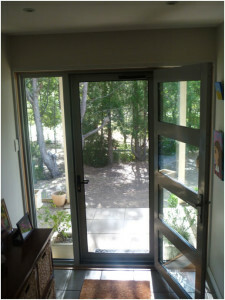 INVIS-GARD stainless steel security door fitted to aluminium hinged door unit. Fitted standard with LOCKWOOD 3 point lock and stainless steel heavy duty hinges and closer. When buying a stainless steel mesh product, ensure that you are purchasing only the highest quality. INVIS-GARD screens offer you that quality with a woven wire product that is manufactured using a marine grade 316 High Tensile (900MPa) Stainless Steel Wire. 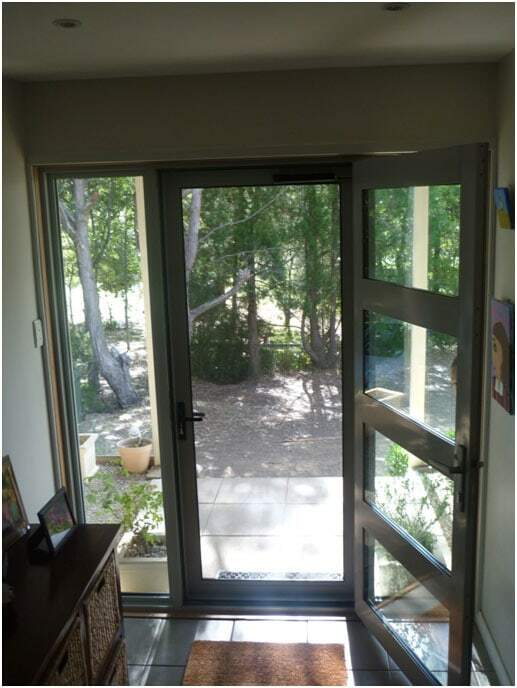 Using the unique, patented INVISI-GARD Pressure Retention and Isolation Method, you can be assured that your door will defy the most determined attack from both intruders and corrosion.